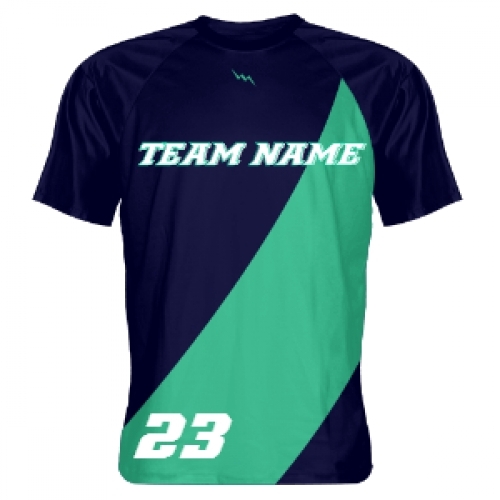 Lacrosse Shooter Shirts - Custom Lacrosse Shirts - Youth Lacrosse Shirts Design lacrosse shooter shirts here Now to begin designing your short sleeve shooter shirts. Design #2 has a contrasting color from the top to bottom half of the custom shooter shirt. Made to order in Kensington, Maryland USA Constructed of poly dimple moisture wick fabric Available in adult and youth sizes Design your own, or have one of our artists design long sleeve shooter shirts for you Personalize your custom lacrosse shirts with custom names, numbers and team logo or accent Rush Services are available for custom shooter shirts Please see below for other related products including custom lacrosse uniforms, sublimated lacrosse shorts, sublimated lacrosse pinnies and sublimated shirts.